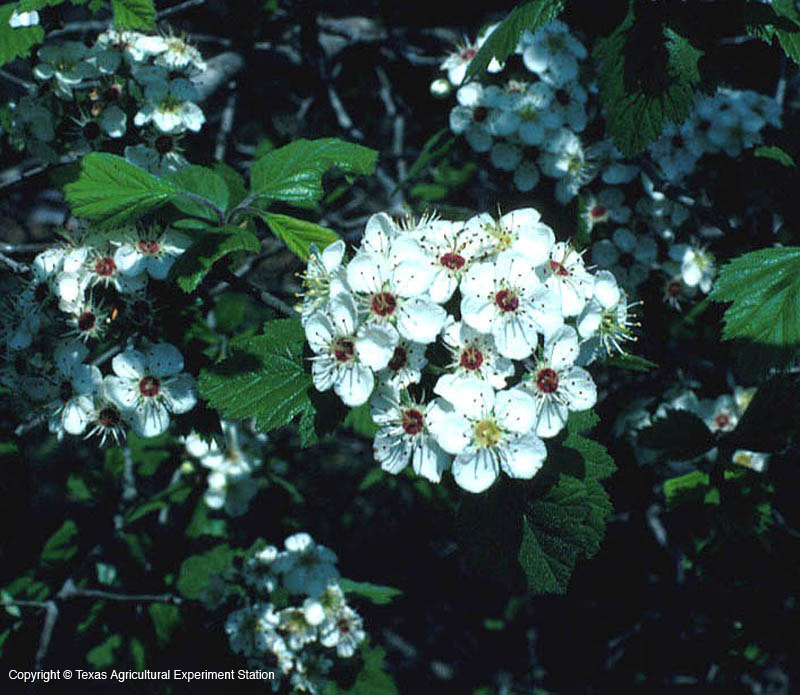 Downy hawthorn has almost as wide a distribution in Texas as cockspur hawthorn, and is adaptable to different soils. The large leaves are thick with hair on the upper surface and densely fuzzy-white underneath. 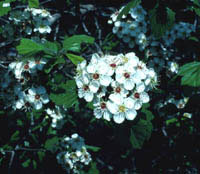 White flowers appear in March to April; the bright scarlet to crimson fruit ripens from August to October.